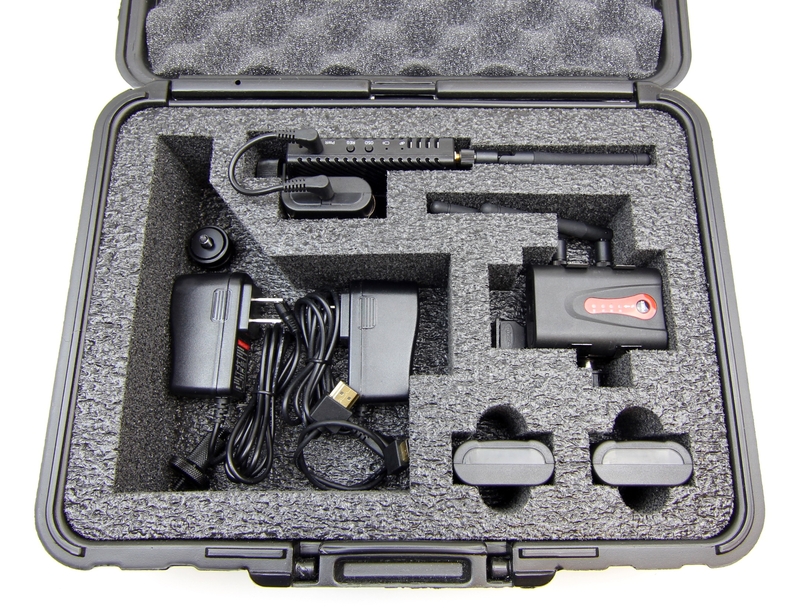 Hard case with die cut foam holds the Connex Mini transmitter and receiver with cages attached and accessories. There is room for 4 or more batteries/chargers, cables, etc. Antennas do not have to be removed from either the transmitter or receiver. Dimensions: 13 1/2" x 10 13/16" x 4"